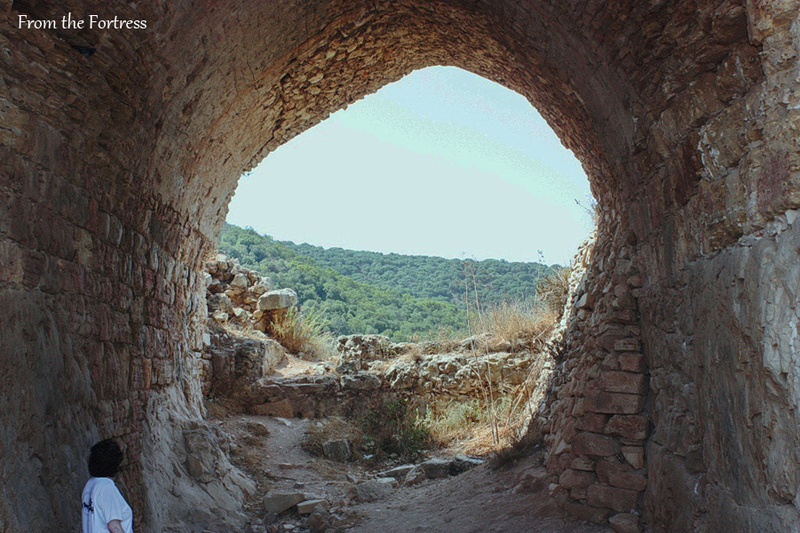 In the middle of an oak forest in the upper Galilee, high above the valley of Nahal Kziv (Wadi Kurein) and suspended between heaven and earth, the 800-year-old fortress, Montfort, stands in solitude. It looks very mysterious, and questions arise: what is it doing here – away from any road or any important farming land to protect? Who built it and why? What was it that brought about its end? Here is the story of the Powerful Mountain. It all started in the 12th century, with the Crusader occupation of the country. The Crusades began in part, to liberate the holy Christian sites from Islamic rule and as well, because of the need to have more land for Europeans upon which to settle. The Crusades brought tens of thousands of Europeans to the Holy Land. Most of them were French-speaking. In July 0f 1099, they conquered Jerusalem, and then the rest of the country. When the country was conquered, its land was divided among the families of the Crusaders. One of them was the De Milly family from Normandy, who received an area in the upper Galilee that had 36 villages. In this location, they built a fortified farm, naming it Montfort. One of the heirs of the farm, Otto von Hanberg, sold the farm in 1229 to the Crusader Teutonic Knight Order. At the time of the Crusades (the 12th-13th centuries), part of the military power was held by knight orders. The two main ones, Knight Templars and Knight Hospitallers, were French, but there was also the small, German-speaking Teutonic Order. 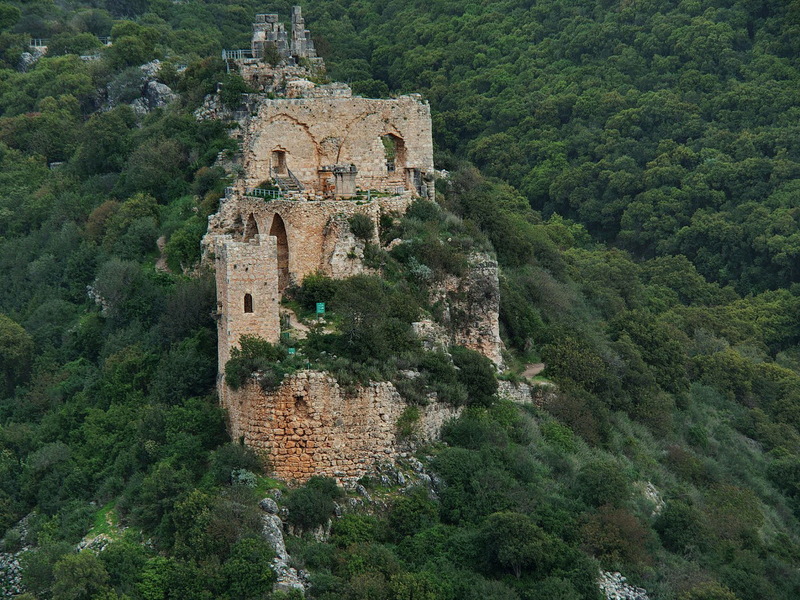 It seems that the German knights were not extremely popular in nearby Akko – the capital of the second Crusader kingdom. After clashes with the other orders, the German knights decided to retreat to the mountains, and Montfort became their place of choice. The fortress they built was not large, but it was very strong because of the slopes around it and its method of construction (illustrating this by its German name, Starkenberg – Strong Mountain). Like the model of Belvoir, there was another fortress, named Keep, which was built inside an external one. When the Mameluk Muslims attacked in 1266, they did not succeed in conquering it like they did with most of the rest of the country. However, five years later they managed to conqueror it. The defenders surrendered, and the fortress was destroyed. The surrounding forest continued to grow into the fortress. 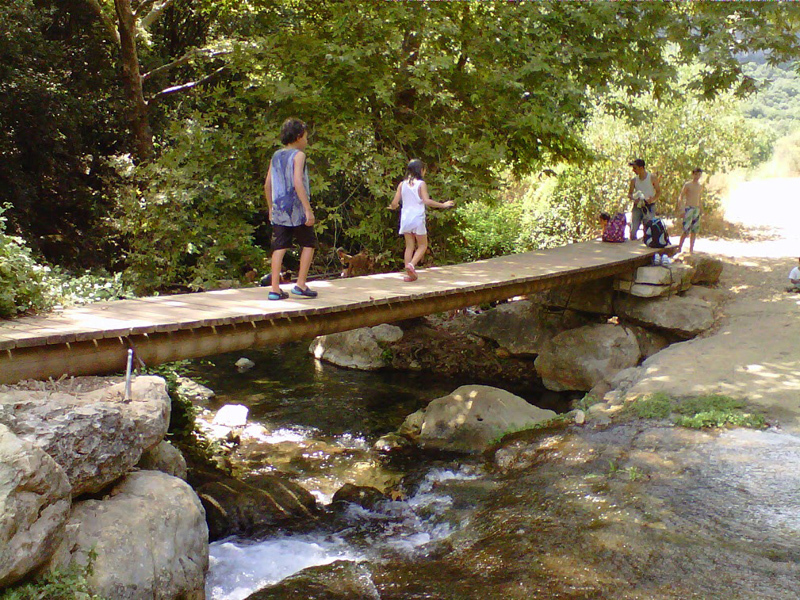 The most picturesque is by hiking along the stream and springs of Nahal Kziv, then climbing steeply to the fortress. Hiking down a steep trail from Goren Park and climbing up on the opposite slope to the fortress. 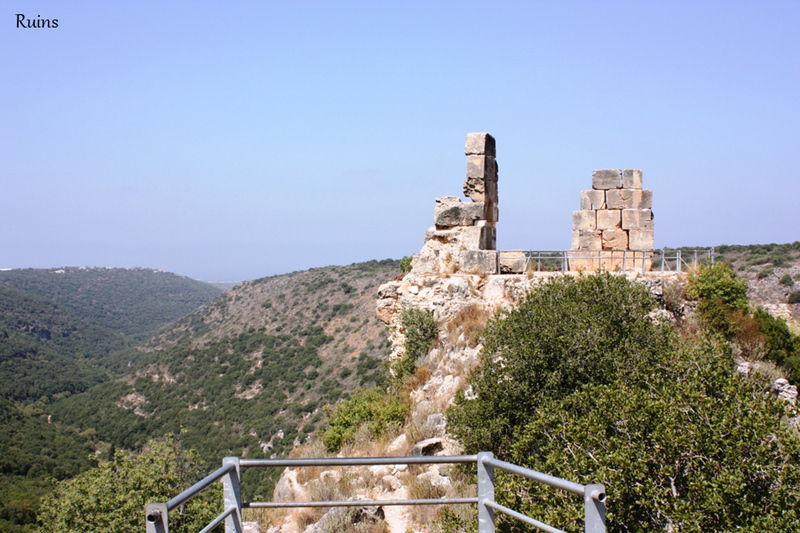 Driving to nearest community, Hila, and hiking on a trail down the gentle slope to the fortress. .